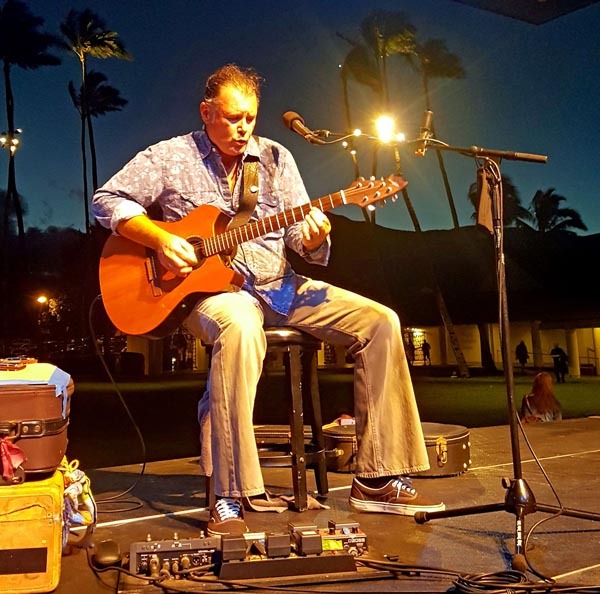 Today: Ben DeLeon, 3 p.m.; Garrett Probst and Keali’i Lum, 6 p.m. Friday: Henry Kapono, 3 p.m. ; Damon Parrillo & Tim Osborne, 6 p.m. Saturday: Keali’i Lum, 3 p.m.; Damon Parrillo and guest, 6 p.m. Sunday: Garrett Probst (Sunday Brunch), 11 a.m.; Keali’i Lum, 3 p.m.; Damien Awai, 6 p.m. Monday: Keali’i Lum, 3 p.m.; Danyel Alana and Don Lopez, 6 p.m. Tuesday: Ben DeLeon, 3 p.m.; Roy Kato and Danyel Alana, 6 p.m, Wednesday: Garrett Probst, 3 p.m.; Malanai, 6 p.m.
Today: Merv Oana. Friday: Margie Heart. Saturday and Monday: Marc Dumalanta. Sunday: Margie Heart. Tuesday and Wednesday: Kanoa Kukaua. 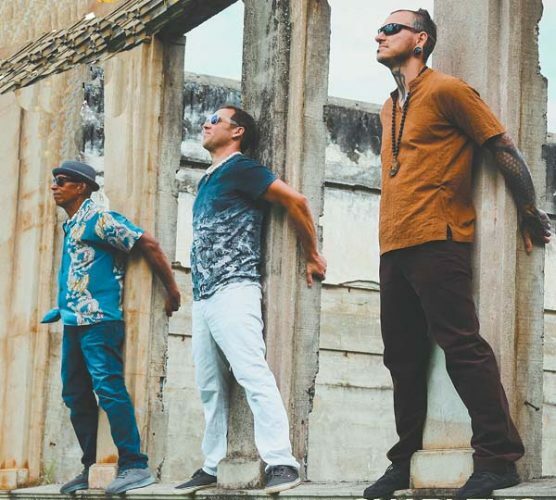 Music from 5:30 to 7:30 p.m.
Today and Saturday: Luau Stew, 6:30 p.m. Friday: Tori Dixon, 8 p.m. Sunday and Monday: Benny Uyetake, 6 p.m. Tuesday and Wednesday: Sam Ahia, 6:30 p.m.
Point Lounge, music from 3 to 5 p.m. Today and Tuesday: Will Hartzog from Jasmine Rice. Friday, Sunday and Wednesday: Peter deAquino. Saturday: Brian Massa and Meryl Yecies. Monday: David Wolf. Dining Room, 5:30 to 8:30 p.m. Today through Saturday and Wednesday: Ranga Pae. Sunday and Monday: David Wolf. Tuesday: The Benoits. 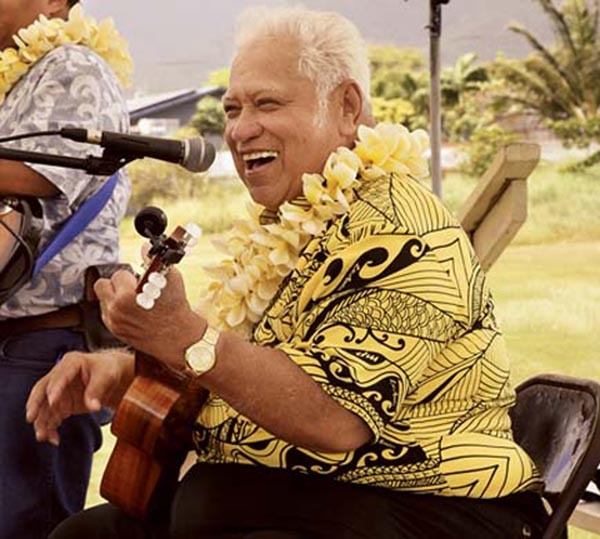 Sunday brunch with Ben Deleon, 10 a.m. to 1 p.m.
Sea House Restaurant: Today, Friday, Saturday and Wednesday: Fausto Allosada, 7 to 9 p.m. Sunday, Monday and Tuesday: Albert Kaina, 7 to 9 p.m. Aloha Pavilion: Wednesday: Contemporary Slack Key Guitar Stephen Inglis, featuring George Kahumoku Jr., Peter deAquino, Sterling Seaton and Wainani Kealoha. Doors open at 6:45 p.m., show starts at 7:30 p.m. Preshow dinner is at 5 p.m. at Sea House with show package available. Call 669-3858 or visit www.slackkeyshow.com. 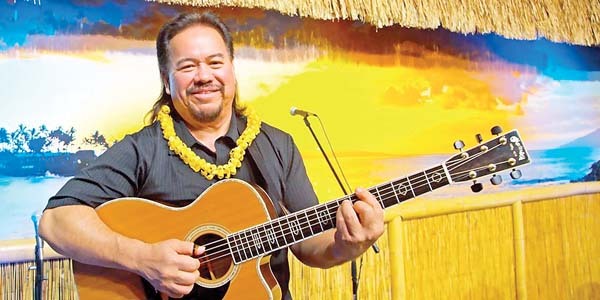 Saturday: Richard Ho’opi’i Falsetto Contest ($20), 5:30 p.m.
Today to Monday: Contemporary music. Tuesday and Wednesday: Classic jazz, from 8 to 11 p.m.
Daily: Hula with Hawaiian music, 5:30 to 7:30 p.m.
Today and Tuesday: Karaoke. Friday: Dat Guyz. Saturday: DJ Illz. Sunday and Monday: Karaoke, 8 p.m. Wednesday: Open Mic/Karaoke. Start time 9 p.m. unless otherwise specified. Today: Brooks Maguire, 6:30 p.m. Friday: Kaina Country, 7:00 p.m.; ($5) Saturday: Closed to Public 5 p.m., Private Event. 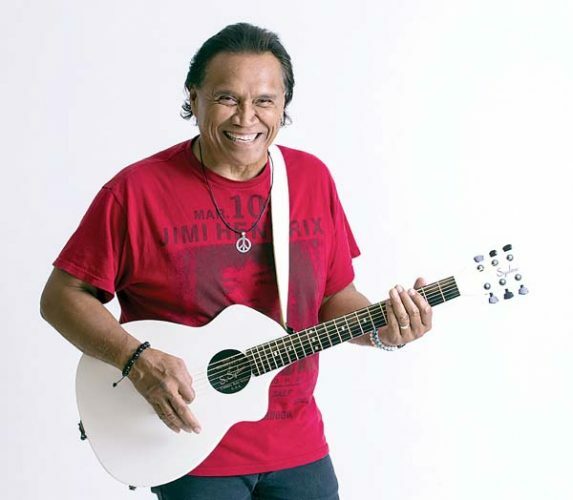 Sunday: Celtic Tigers, 7 p.m. Wednesday: Willie K, 6:30 p.m. Dinner and show $75 for inside table. Reservations are required. Call 250-8288. Today: Mark Johnstone & friends, 6:30 p.m. Friday: Floor Banger Friday with DJ Blast, 10 p.m., ($10). 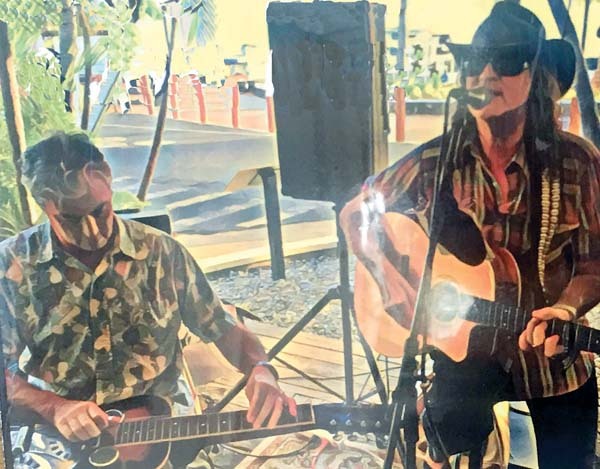 Saturday: Flat Jackson with Special Quests Citrus Mission, 9 p.m., ($10). Monday: Charley’s Live Band Open Mic & Jam, hosted by Nick Sickles, 7 p.m. Tuesday: Matt Del Olmo & Orion Hitzig, 6:30 p.m. Wednesday: Randall Rospond, 6:30 p.m.
Today and Saturday: Karaoke with Brant Quick, 9 p.m., free. Friday: Jerry Caires Jr. Band, 8 p.m. $5, plus 50 cents added to drinks.